Paw Brothers Small Double Sided Firm Flex Slicker Brush 2" X 2.5"
Double Sided Flex Slicker Brushes feature medium firm stainless steel angled pins on both sides. The soft or firm flex feature reduces stress on hands and wrists. 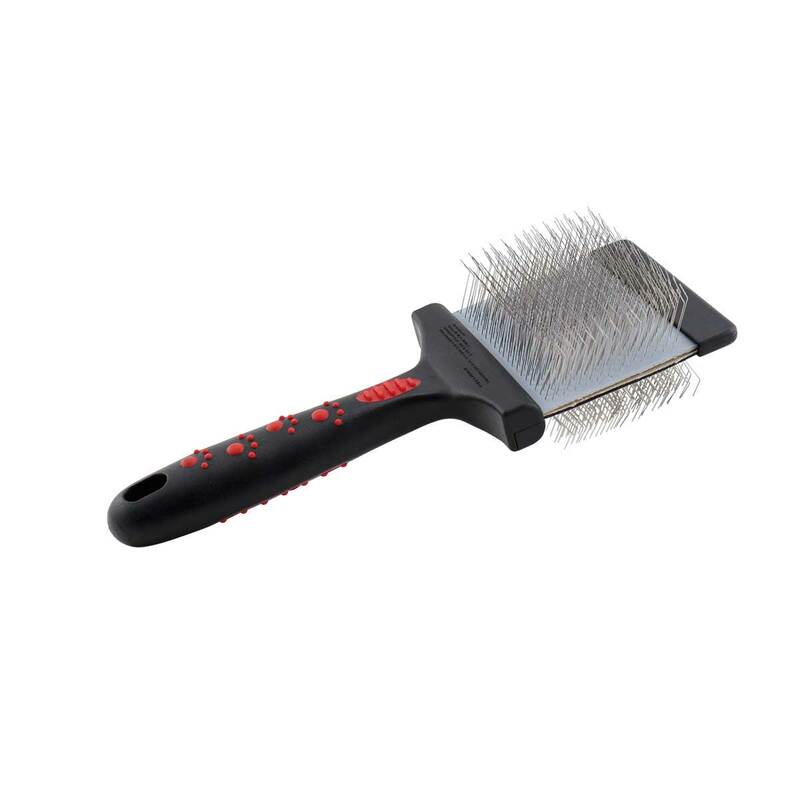 The Flex Brush follows the natural contours of the pet and making the brush more comfortable for the pet and the groomer. Double Sided Flex Brushes also features comfortable, non-slip grip handles.